At 12:30pm, arrive at the steps of the Boston Public Library in Copley Square, located at 230 Dartmouth Street. Meet and greet the tour guide to begin this 2-hour walking tour of Boston. Start in Copley Square, the public square in Boston's Back Bay neighborhood. See the Boston Marathon finish line, Trinity Church, and the 60-story John Hancock Tower. Stroll through the Boston Public Garden and admire the swan boats as they go under the world's smallest suspension bridge. 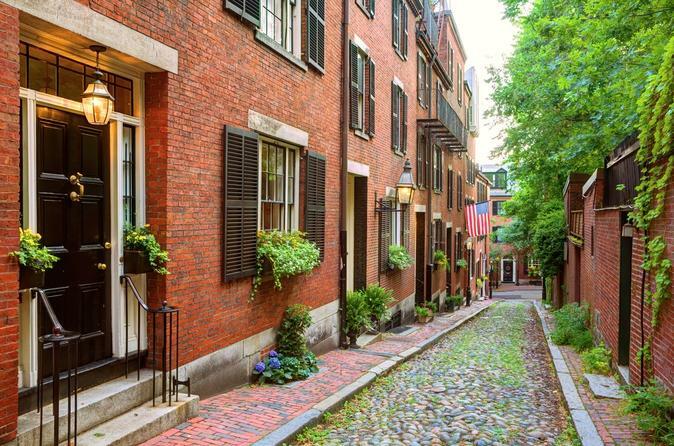 Explore the cobblestone streets of historic Beacon Hill and Acorn Street en route to the popular Freedom Trail. In Downtown Boston, visit the Old and New State Houses. See the Park Street Church and the Old Granary Burying Ground, along with the King's Chapel. Continue the tour to the Old and New City Halls, the Old Corner Bookstore, and the Old South Meeting House. Learn the history behind the landmark Boston Massacre Site. Then finish the tour at Faneuil Hall and Quincy Market.